This time, I got that big chunk of chocolate in my chocolate chip cookie and so much more-- maybe some expensive walnuts drizzled with caramel! 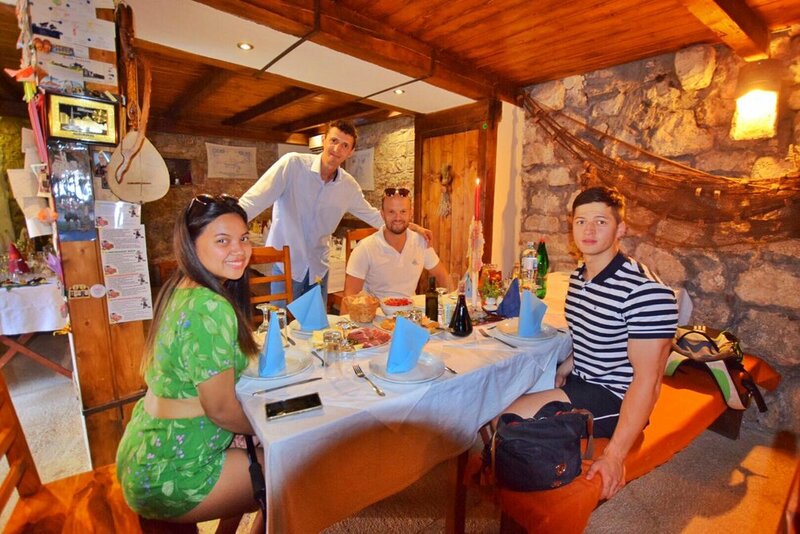 I, my sister, and her boyfriend Kees were welcomed by Dalibor of Tourism Organization of Herceg Novi - Turistička organizacija Herceg Novi and were taken to Herceg Novi’s most beautiful spots! We stayed in the beautiful Master 5 Apartments (Check the Latest Room Rates Here) and got the best view of the Bay of Kotor. 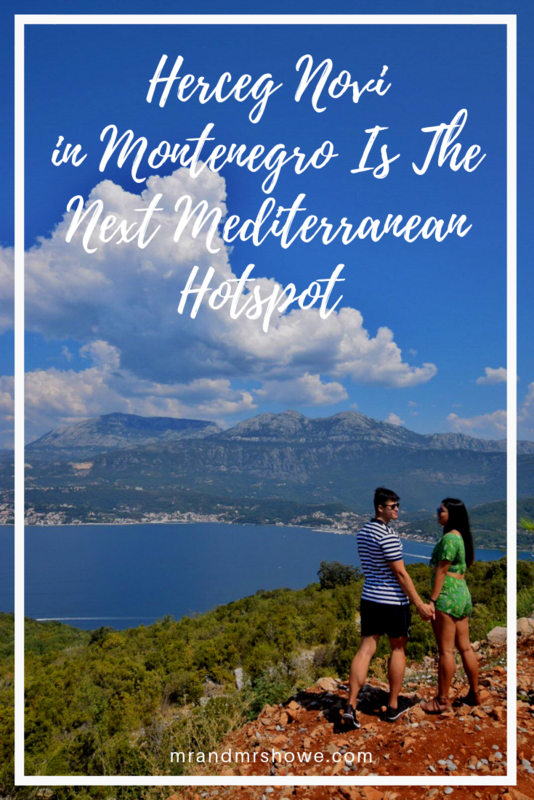 Having traveled across 105 countries as of the time of writing, I can’t help but think that Montenegro (especially Herceg Novi) is the next Mediterranean hotspot to watch out for (and visit ASAP) and I’ll tell you why. If I get a dollar every time I hear the three of us saying ‘It’s soooo beautiful,’ I’d be rich by now! Herceg Novi is a Coastal Town which is bounded by the beautiful Adriatic Sea where towering mountains also stand. It looks like a place just taken out of a very dreamy postcard. It’s not easy to see why this is the next Mediterranean Hotspot! Just imagine yourself sipping your favorite coffee, strolling around town, biking on the way to the local bakery all with this scenic landscape! This view can romanticize all the unpleasantries you might experience on your trip-- be it ripped jeans, a melted chocolate ice cream which fell right onto your favorite white shirt, or even tripping as you walk with your face first (which I honestly hope not). 3) For some countries, it is possible to visit without a Schengen Visa! Philippine Passport Holders rejoice! 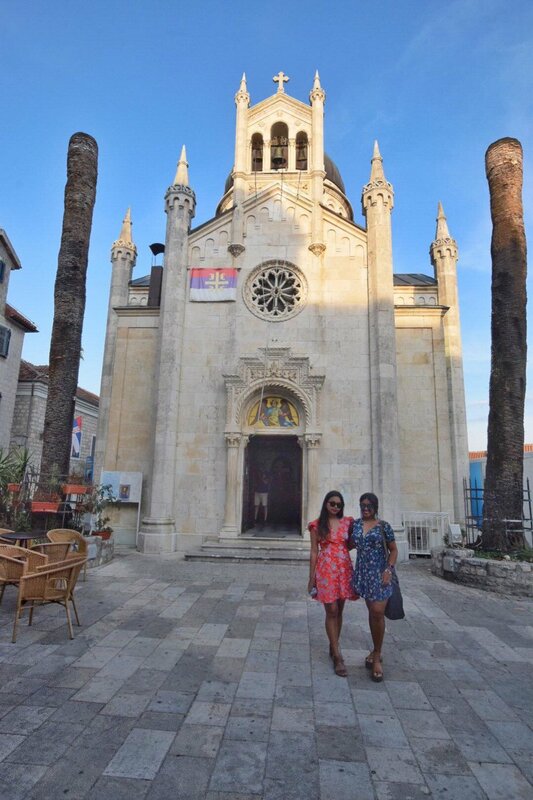 You can visit Montenegro for 30 days max for free if you have a Valid USA Visa. Residents of the UAE can also visit up to a maximum of 30 Days for free. Oh, don’t you just love this?? 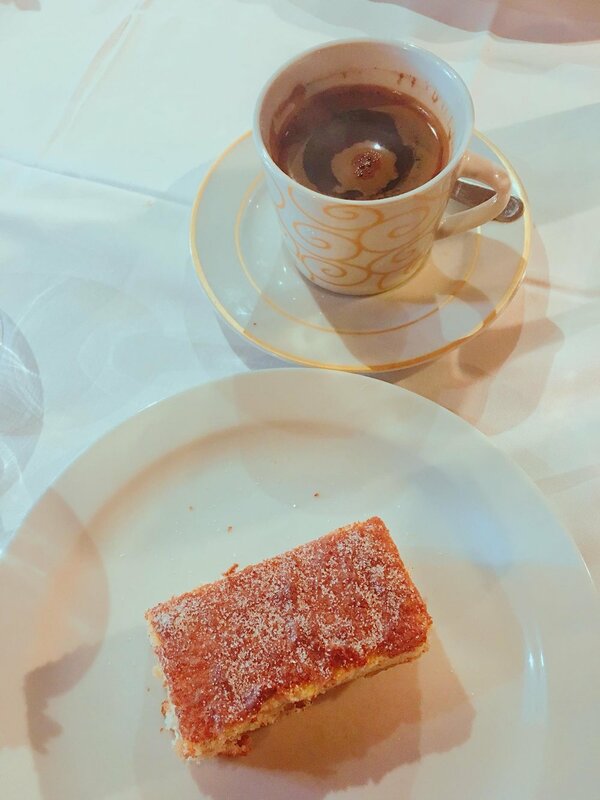 We stayed in Herceg Novi for five days, and I feel like it was never enough. 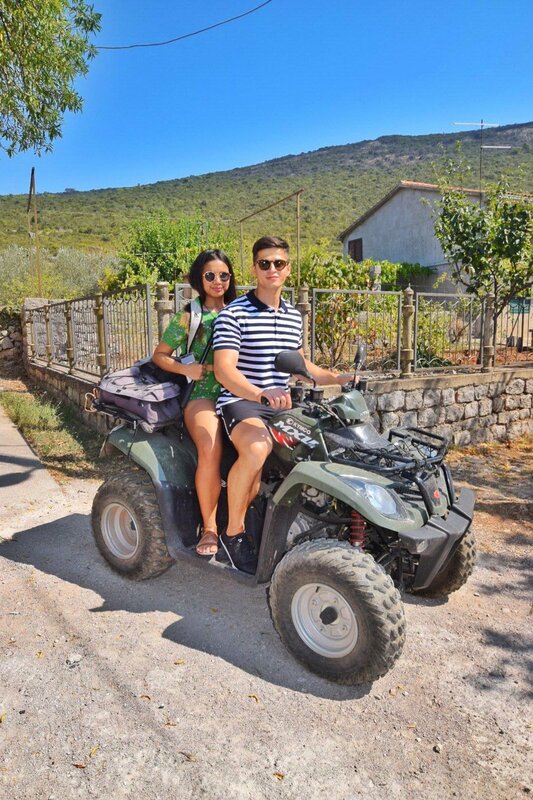 We went on a boat tour to Perast, Porto Montenegro, Our Lady of the Rocks and wrapped up the trip by kayaking and paddleboarding in the beach nearby with Ilja and Natasha of Montenegro Outdoors. 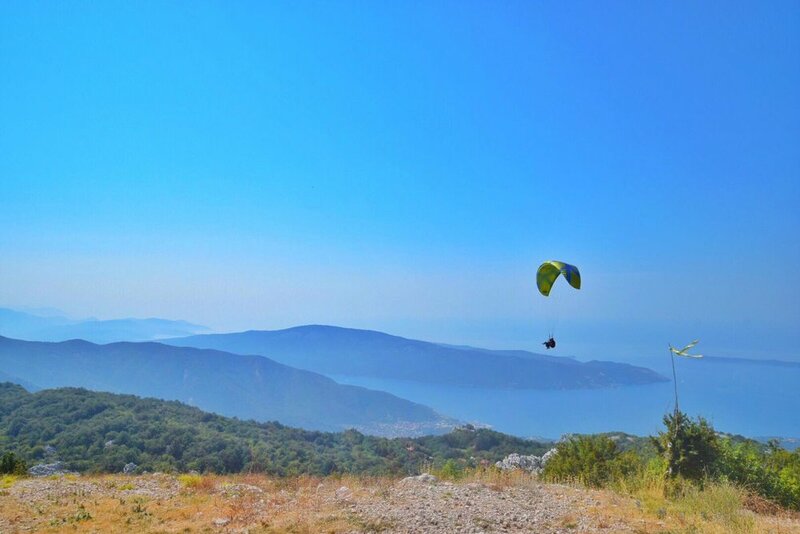 I went paragliding with Dusan Stevovic of Adriafly where I got the magnificent birds-eye view of Montenegro. 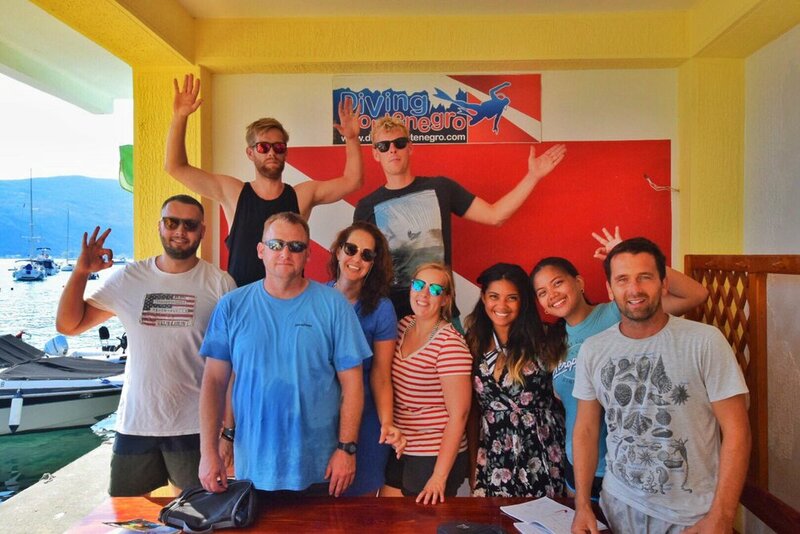 We also went diving at Mamula Island with Dado and his team of Diving Montenegro - Herceg Novi. We were also lucky enough to have seen the Opera Festival in Old Town, Forte Mare, Kanli Kula. This is just one of the best five days of my life! 5) The FOOD IS REEEEAAAALLLLY GOOD! And not to mention affordable! Whether you’re craving for a pizza, a burger, or a platter of seafood, they have something on the menu for you (wag lang Lechon pls). 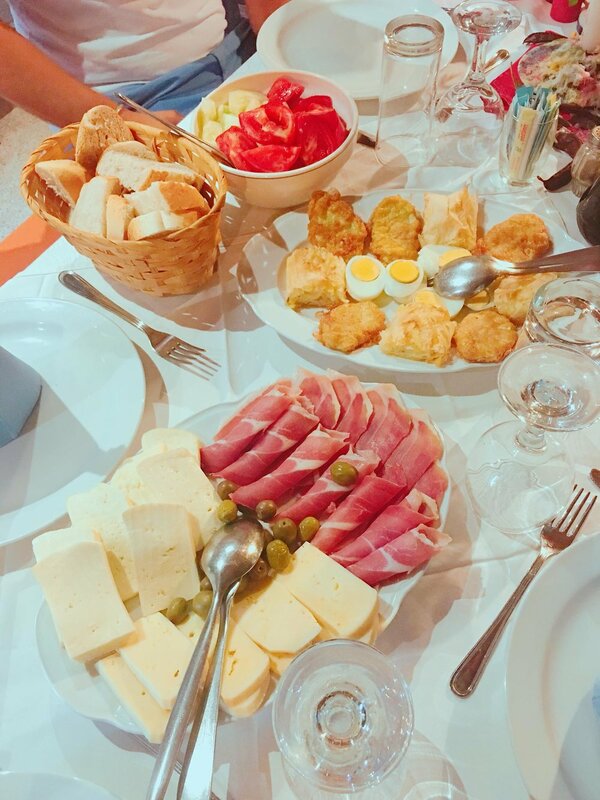 Here are some of my favorites: T-bone Steak and Shrimps from one of the best restaurants in town, the Gradska Kafana Herceg Novi and anything seafood from Restoran Kantula (the owner is a fisherman so the fresh catch is guaranteed all day). 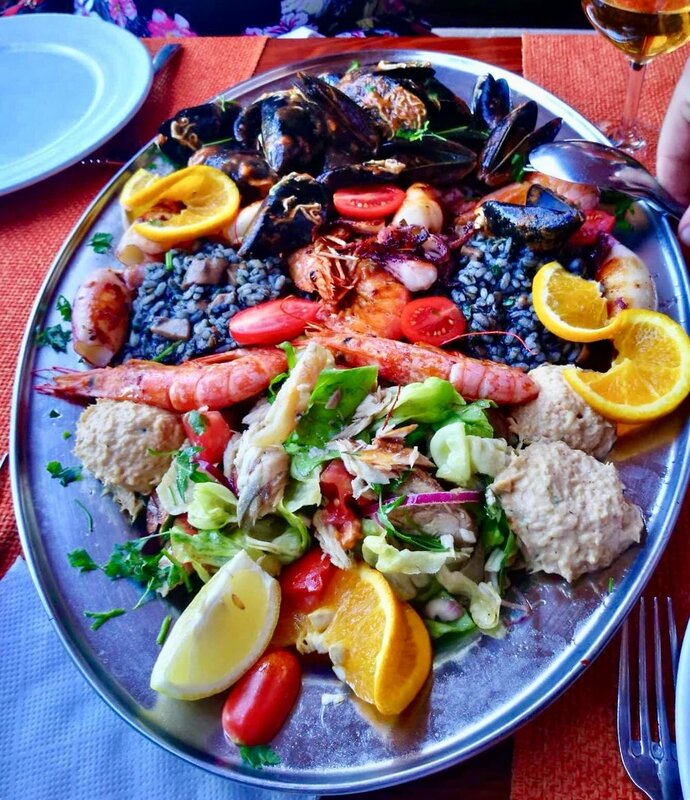 You can also indulge in local cuisine like the Black Risotto, Pasulj (baked beans) and Sopska Salad. I feel like I gained 10 pounds on this trip alone haha. Now, this is an unusual sight. 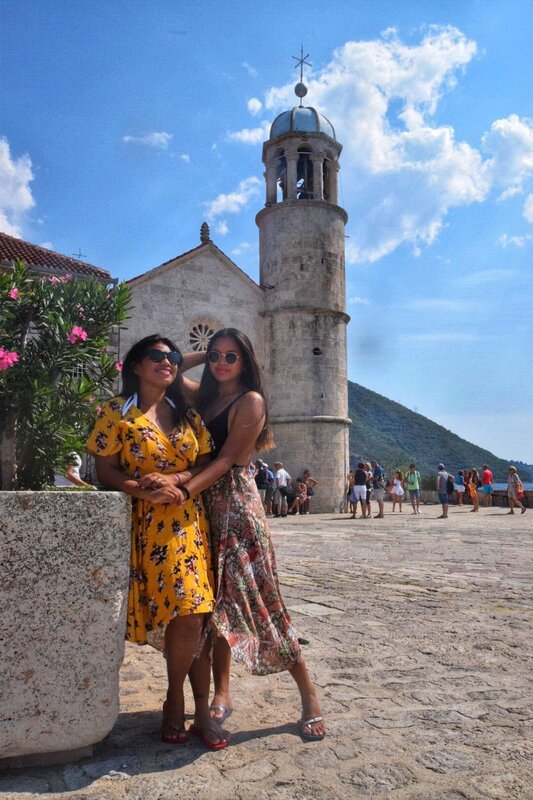 Just a few kilometers from Herceg Novi is this townPerast where you can find the infamous church called Our Lady of the Rocks. It is a Catholic Church built in 1630 situated in an artificial island created by sinking old and seized ships loaded with rocks. 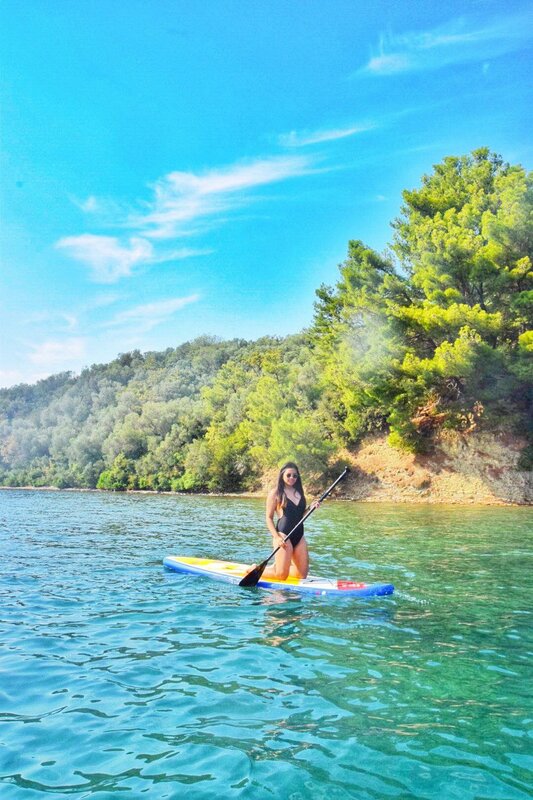 Visiting this is one of the best ways to spend your time in Montenegro. Here, you’ll find 68 paintings by Tripo Kokolja, a famous 17th-century Baroque artist from Perast alongside notable Italian Artists. It also houses a collection of silver votive tablets and a famous votive tapestry embroidered by Jacinta Kunić-Mijović from Perast. What makes this extra tapestry special is that it was made by her while waiting for the love of her life until she became blind and apart from gold and silver strands, she also had her white hair embroidered into it. Just wow. 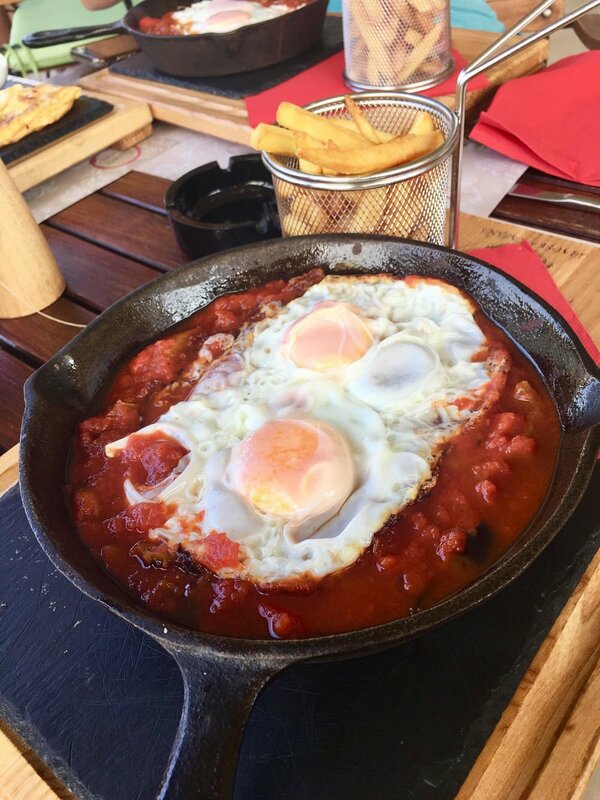 This is one of the best reasons to visit Montenegro. 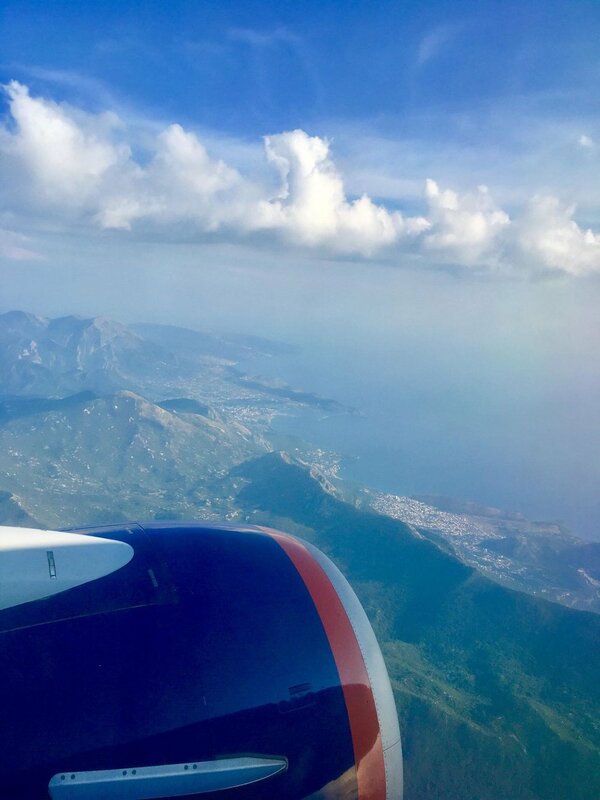 The Europeans are known to be cold people, but It isn’t the same in Montenegro where everyone seems to be very warm and welcoming. People smile a lot, and they have a good sense of humor. They are very hospitable, and there are times I felt like I was back home in the Philippines. Kach Solo Travels in 2019: Arrived in my country 124th - BARBADOS! Kach Solo Travels in 2019: Second stop of the cruise is Antigua!